As she so nicely reminded us, it is indeed Cera's month of appreciation! In this topic please feel free to discuss Cera as a character, to share your own creations (fanfics or fanart), or to mention some of your favorite fanworks of others involving this character. For a full set of rules please see the Montly Character Showcase topic but keep in mind that this is meant to be fun as opposed to any sort of contest. Just to get things started I will pose an initial question to the Cera fans on the forum: What are your thoughts on Cera, and how has your opinion on Cera as a character changed over the years? Rhombus: Just a side note - one of us will change the icons to Cera ones in a timely fashion. Unfortunately I do not personally know how to perform this process yet. Cera I think has gotten tamer. I mean look at the Cera of the first film, and then the Cera of the sequels. She was a real prejudiced snot in the first film. None of the sequels have ever been close to such an attitude. Even that crazy angry song is mild! She definitely has, Petrie! In the first film you can clearly see her upbringing affecting her behavior to dinosaurs who are not like her. This mellowed a lot after their first adventure. I really like Cera. Sure, she has some attitude problems and is biased occasionally, but she wants to do good (as long as it is done her way ) She is not afraid to stand up for what she believes in, but is also willing to change her point of view eventually, as long as people show her how things could be if she approaches them from a different perspective. This is extremely mature, and I'm sure many people could learn from that. Also, who could resist this wink? I didn't want to do this, you know. 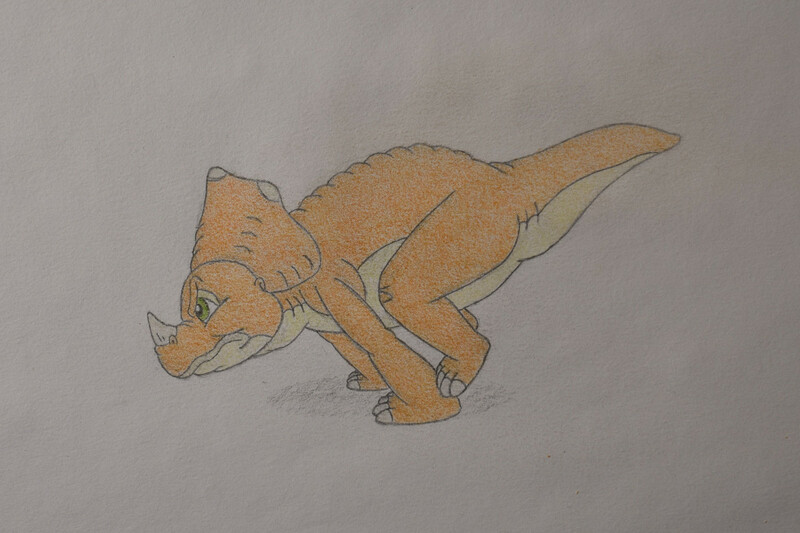 I missed previous showcase, since I couldn't say anything new and not commonplace about my #1 character Littlefoot. So now, here is my couple words about possibly the most interesting character for me from LBT universe. Cera. Yeah, she's interesting for me because she is complex, and my attitude towards her completely changed a lot- since the first time of watching original to today days. During first watch of original movie, and rewatches during early years, I couldn't see her anything but as b*tch who spoils the group. I so disliked her... Since childhood, I just disliked people who had Cera's character in real life, so my attitude was terrible towards Cera. And now, she became one of my favorite characters in LBT universe. Congratulations, Cera. Life changed my attitude towards you, 32000 times different than it wasat the beginning. Cera is actually one of my favorite characters, mostly because of her attitude and how complex she is, although it didn’t really start off that way lol. When I watched the first movie I really, really, really disliked her, and I might even go as far as saying I hated her because to me she came off as just a spoiled, selfish and prejudiced brat. Cera is probably the character I empathize with most, next to Littlefoot. She changes dramatically as she learns the value of others, while retaining the same fiery spirit that defines her. She can be occasionally frustrating, but I think I appreciate that tough pride and determination more than ever. So I share a lot of similar initial attitude to her that other members have mentioned. She was always uptight, arrogant and all around not that pleasant. Now that I'm older I've come to terms with it and find her to be one of the most interesting characters due to how flawed she is, which easily makes her the most dynamic one of the gang. While there was a general separatism among the different species, from what we've seen of Mr. Threehorn in the sequels with the more outright hatred and feeling of superiority it's impressive that Cera has managed to make the progress she has. I find her development at the end of the first film to be one of my favorite parts, with her realization that she was wrong and comes to save the day with the final blow to the rock to knock it and Sharptooth over. I also like the small change in dialogue between "finding" the Great Valley and finding the Great Valley with going from bragging that "I found it!" to "Littlefoot, you found it!" Hey thanks Iris! Anytime a Cera drawing turns out it's a great day! There's a character my opinion went a complete one-eighty on. Understandably, my opinion of her wasn't the greatest when I watched the original LBT. She came off as a braggart who was too stubborn for her own good. Then I watched the sequels. The sequels completely changed my perception of her. She comes off as a more down-to-earth, "WTF are you thinking?!" 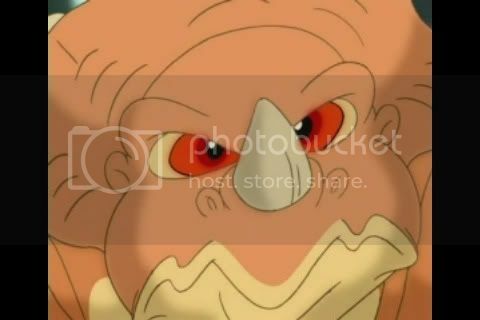 realist to Littlefoot, and I really relate to her and her exasperation with her friends as a result. 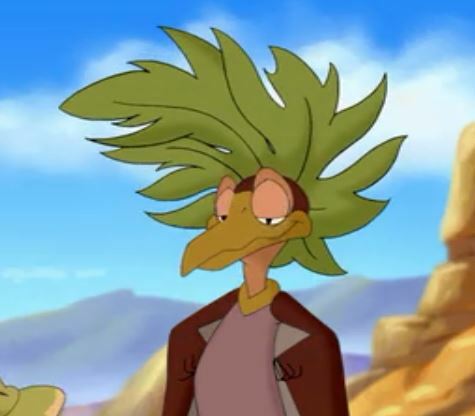 Maybe I'm a realist and a pessimist very much like Cera, but her constant brash, haughty shooting-down of Littlefoot's idealistic viewpoints is a great foil (and arguably more realistic in a darker world) and works wonders in their relationship with each other and the rest of the Gang. She's sorta like a devil's advocate and her actions have snowballed many good and not-so-good things throughout the series, almost always resulting in someone learning a lesson as a result. Cera also gets great character development as well, arguably one of the best arcs overall in the series. From haughty "threehorns are the best" to a she'd-never-admit-it-but-implied "I'll fight you for my friends". Even in the final films, her arc with her family: Topps, Tria, and Tricia is one of the saving points of LBT XI & XII. She's a great threehorn. Arrogant and prideful, but we love her for it. Well, in the original film I thought of Cera as a bit of an idiot with her prejudice ways and bragging attitude but over the sequels she really grew on my as a character into someone who was far more relatable. I personally found that we both had very strong tempers and were rather blunt and sceptical in some aspects. I really enjoyed her character however in regards to the latter films particularly Journey of the Brave I find that her character development has slowed almost to a complete stop which is a pity cause she has so much potential as a character. She's one of my favourite members of The Gang. What's the point in being mad if you don't do mad things now and again? Most of Cera has already been mentioned. Cera has a personality for me that I really like. I always have to laugh about her sayings! For example, when the gang in "The Stone of Cold Fire" walks over a ravine, she says that they always had bad luck when they walked over ravines. That's why she wants to walk in front. Another one is in "Journey of the Brave" during the song "Hot and Stinky". Her shocked look was a highlight in this movie for me! It seems to me that Cera is the most realistic minded of the group. Maybe that's why I like her so much. Without her, the movies would not be the same. 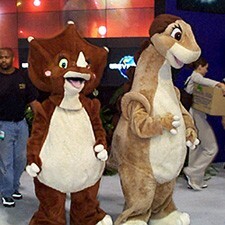 If one asked me about my favorite characters, it would be a tie between Littlefoot and Cera. My views on Cera have evolved in a similar fashion to what many others have described previously. In the first film (which I first viewed as a young child) Cera did not come across as the most sympathetic character at first though I could understand where her temperament came from. With the passage of time in the sequels, however, she noticeably mellowed and grew into the perfect foil for Littlefoot's more idealistic tendencies, becoming the realist of the two. Though I do have to concur with Sovereign that the sequels often missed out on opportunities to further show this character growth - such as showing Cera being more of a leader in Littlefoot's absence. Overall though, Cera is one character that I am quite fond of, and I quite enjoy using her in the context of fanfiction where the unexplored character depths can be further explored outside of the realm of canon.